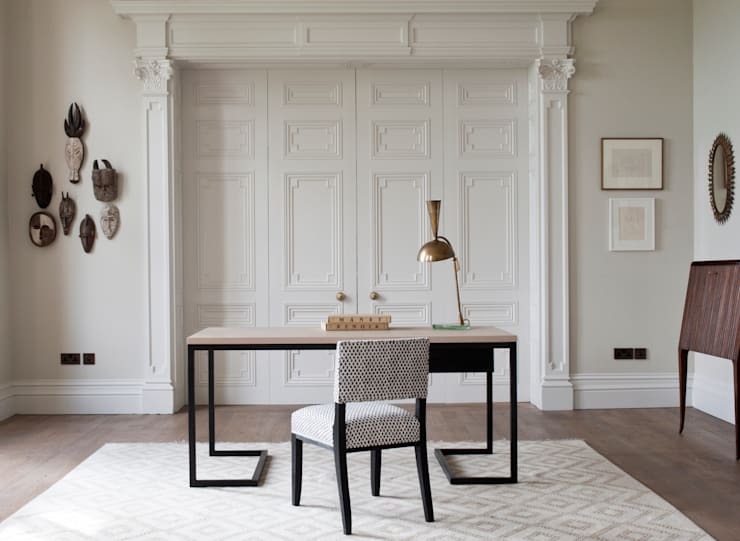 Examples of one-off pieces of bespoke furniture, designed and made for various private clients. ["PL"] [Published] 15 przykładów mebli dla wielbicieli oryginalności! ["PE"] [Published] 15 diseños de muebles de madera ¡para mandar a hacer a tu carpintero! 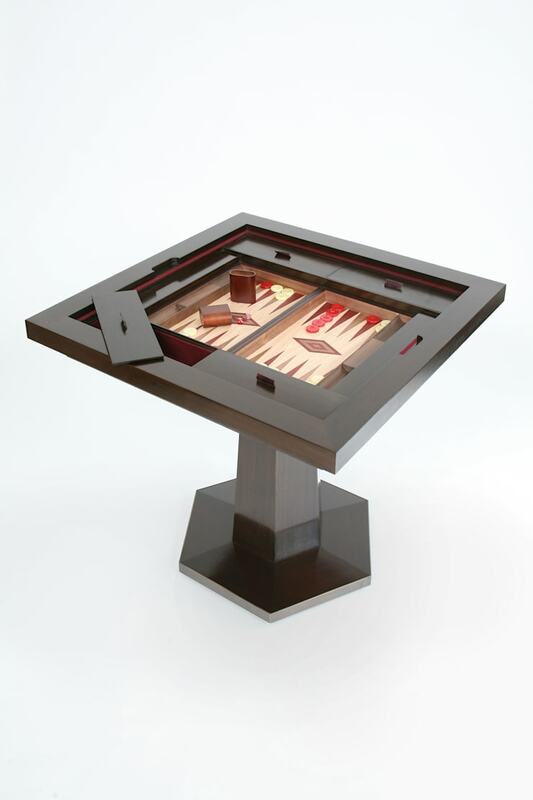 Bespoke Games Table, designed and made for a private client. 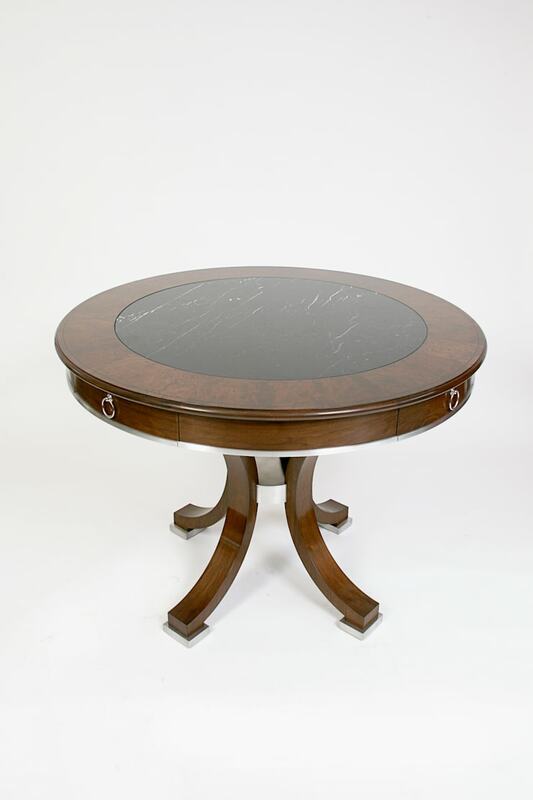 Bespoke Hall Table, designed and made for a private client. 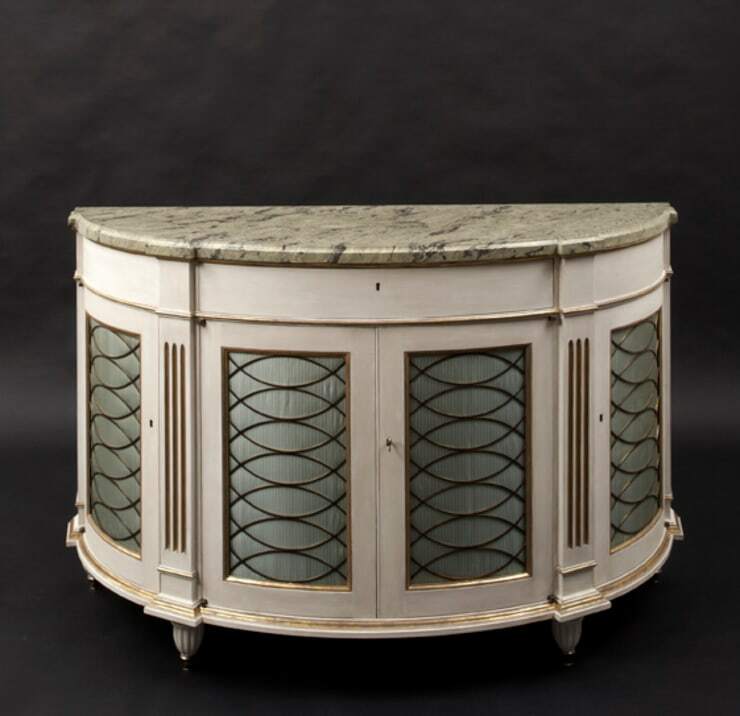 Art Deco style desk, designed and made for April Russell Designs. 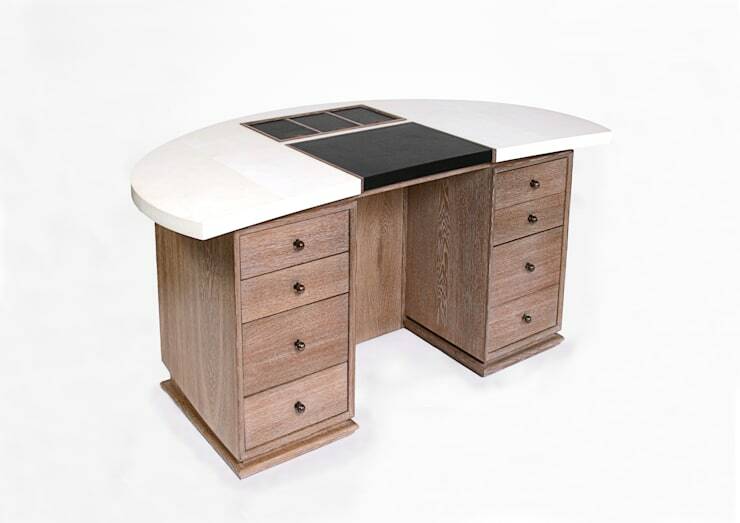 Contemporary desk with a blackened steel frame and ivory leather wrapped top. 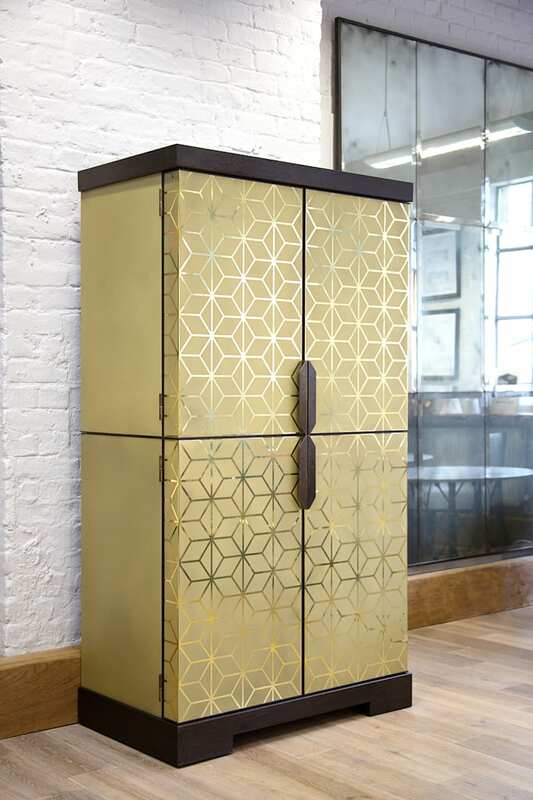 Art Deco inspired cocktail cabinet, clad in brass etched with geometric decoration. 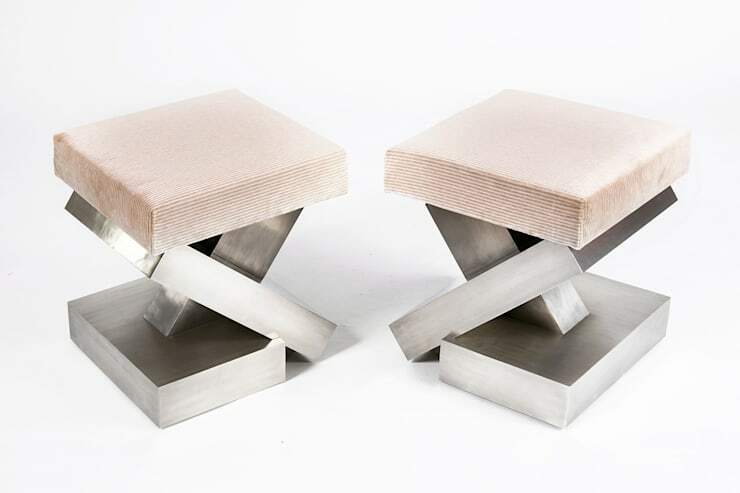 Pewter clad footstools with a geometric base. Designed and made for a private client. 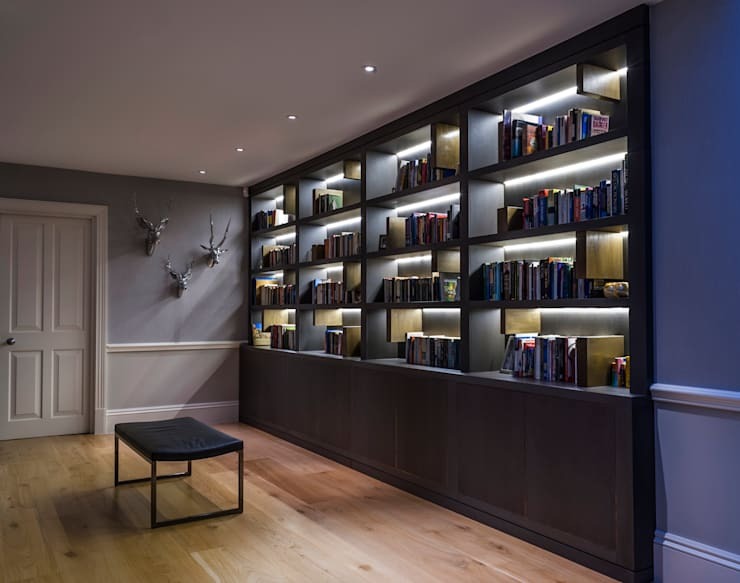 Bespoke Fitted Bookcase with backlighting, designed and made for a private client. 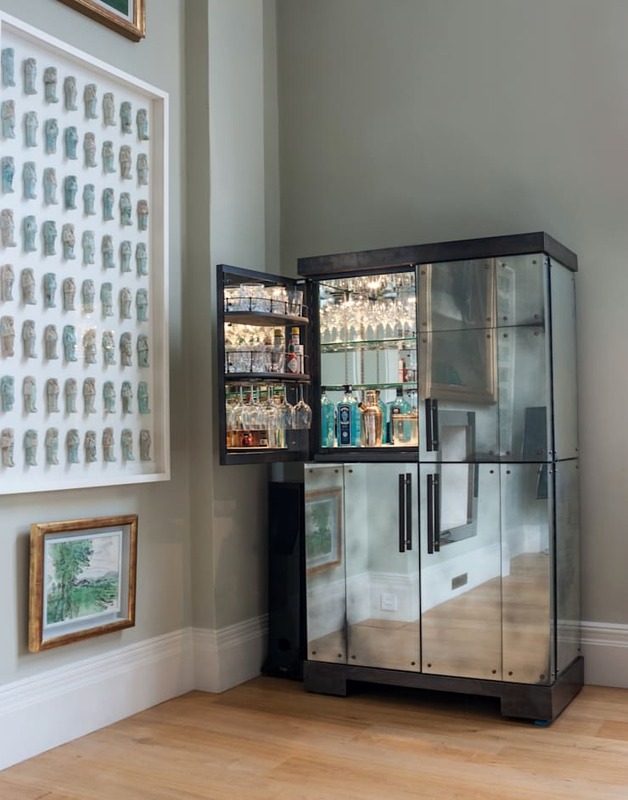 1920's inspired Drinks Cabinet designed for Soho House, clad in antiqued mirror glass. Demi-Lune Commode inspired by a classic 18th Century design. 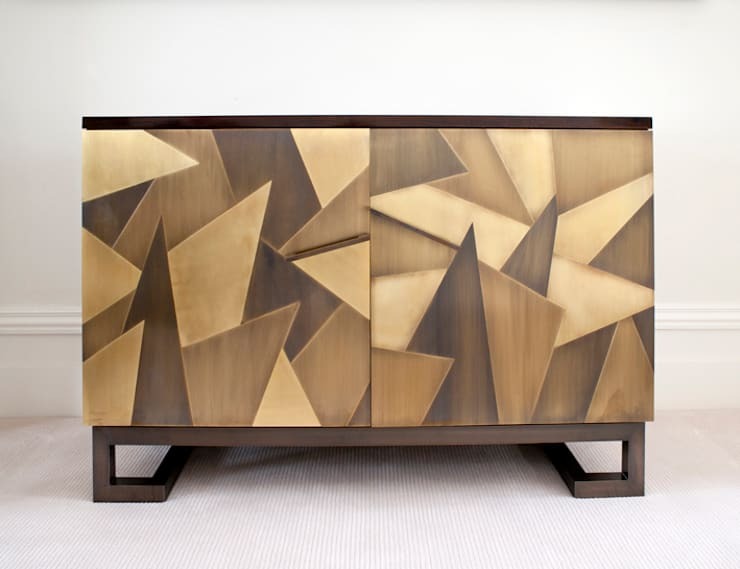 Hand painted and patinated in off-white with gilded detailing.